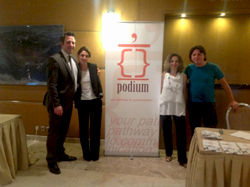 Podium offers high quality interpreting and translation services throughout Greece and abroad. 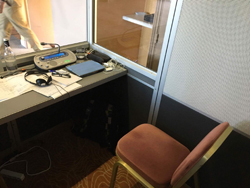 Our team is made up of experienced professional interpreters - translators driven by a passion for their work and unrelenting commitment to quality, guaranteeing complete accuracy and clarity. We meet any demand that you have, accurately and professionally. 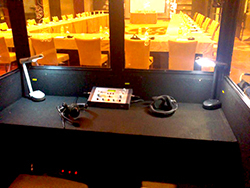 The Interpreter simultaneously conveys the speaker's words in the target language from a booth. 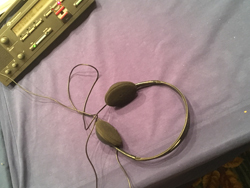 This service is ideal for events held in more than two languages, demanding the use of special equipment (booths, headphones and microphones). The speaker pauses his speech at frequent intervals to allow the interpreter to convey the original message in the target language based on the notes that she/he has kept. 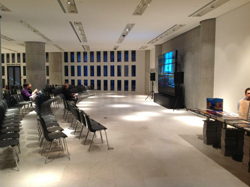 No technical equipment is required and this service is ideal for events with a few participants working in no more than two languages. For a limited time period the interpreter conveys the speaker's words by  whispering to a small number of individuals next to whom he is seated. 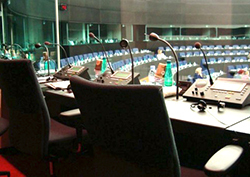 • Exclusive Interpreting services for the National Broadcasting Corporation (ERT S.A.), from January 2017 to December 2017, covering all significant events (EU summits, Eurogroup meetings, important meetings). •Interpreting services for Alpha TV, from January 2017 to December 2017, covering all significant events (EU summits, Eurogroup meetings, important meetings). 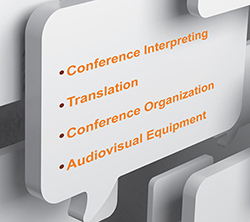 •	Interpreting services for Boussias Communications, from January 2017 to December 2017, on the occasion of IT and technology-oriented conferences. 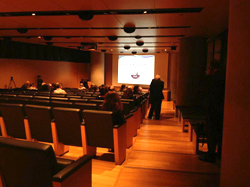 •	Interpreting services for the Italian Cultural Institute in Athens, from January 2017 to December 2017. •	Interpreting services for the French Institute in Athens (IFA) , from January 2017 to December 2017. •	Interpreting services during the annual conference of the Central Union of Municipalities of Greece (KEDE), held at the Zappeion Exhibition Hall, Athens, on February 16th, 2017. 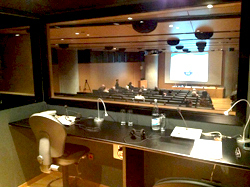 •	Consecutive interpreting services in the framework of Documenta, Athens, April 9th, 2017. •	Interpreting services in the framework of Enterprise Greece meetings, in Athens and Thessaloniki, May 8th-11th, 2017. •	Interpreting services for the Greek Council for Refugees, in Athens, June 20th, 2017. •	Interpreting services for the Naftemporiki newspaper, in Athens, October 26th, 2017. •	Official visit of the President of the Republic of Poland in Greece (November 20th – 21st, 2017). •	Interpreting services for the Regions of South and North Aegea, in November 2017. 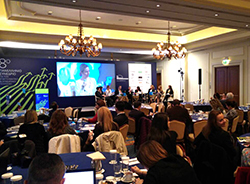 •	8th Panhellenic Conference HAPCO ” held in Athens on January 31st and February 1st, 2018. •	TEDx Athens 2017 held at the Athens Concert Hall, on September 30th, 2017.